Advantage Lithium President and CEO David Sidoo discusses how a partnership with Orocobre has set his company up for success as a junior lithium explorer. Advantage Lithium (TSXV:AAL,OTCQX:AVLIF) CEO David Sidoo believes that a partnership with Orocobre (TSX:ORL,ASX:ORE) and changes in the Argentine political sphere have set his company up for success as a junior lithium explorer. Advantage Lithium is a Vancouver-based resource company focused on the strategic acquisition, exploration and development of lithium properties. With a goal of growing its reputation in the Lithium Triangle, Advantage Lithium is establishing its presence with strategic exploration projects within the epicenter of one of the world’s lithium hotspots: Argentina. In Argentina, Advantage Lithium has partnered with Orocobre on its flagship property, Cauchari. Orocobre has a market cap of over $900 million, and through its extensive geological knowledge and experience, as well as the reputation it has fostered within the local government, the company has helped position Advantage Lithium as a strong junior explorer entering the lithium market in the region. Changes in the Argentine political landscape have been beneficial for the mining industry, drawing many producers to the region, and Sidoo says the government has been instrumental in facilitating exploration. Below is a transcript of our interview with Advantage Lithium CEO David Sidoo. It has been edited for clarity and brevity. 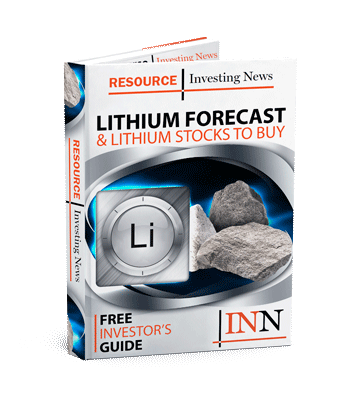 Investing News Network: Please give our investor audience an overview of Advantage Lithium’s flagship project, the Cauchari project in Argentina. Advantage Lithium President and CEO David Sidoo: As we announced in several recent press releases, we’ve embarked on a very aggressive drill program at Cauchari, in the province of Jujuy, Argentina. This program is in a basin where SQM (NYSE:SQM) and Lithium Americas (TSX:LAC), as well as our partner Orocobre, have discovered over 18 million tonnes of lithium carbonate equivalent. We have started a five-hole rotary drill program which allows us to drill down to 400 meters. We also have 12 permits for drilling diamond holes up to 200 meters and for gathering some shallow surface results. To date, we have completed our first few holes at Cauchari and we hope to receive multiple drill results by mid-September, which we plan to share at that time. In terms of our staff, we have over 30 engineers, staff and drilling contractors in the area along with our vice president of exploration, who has been there full time. INN: What is next for Cauchari and how does that fit into the long-term plans for the project? DS: Advantage Lithium is different than any other company because it has what I call “optionality.” If our drilling is successful in the northwestern target, which is on the northern part of the Cauchari Basin and about 8 to 10 kilometers away from Orocobre’s Olaroz processing facility, we could build a pipeline right to that facility. Building that would cost us $4 to $5 million, and we would be able to make use of our partnership and pump the brine directly into Olaroz, processing it there for a small tolling fee. As such, our CAPEX for quickly getting into production is going to be very small compared to other companies that have a resource. Those companies are spending upwards of $300 to $400 million to build their own facilities. Additionally, SQM and Lithium Americas are also building a facility in Cauchari that will be situated 4 or 5 kilometers away from that same northwestern target. With that, there will be two processing facilities through which we could potentially pipe our brine and process it for much less CAPEX than any other company. In the southern drilling area in Cauchari we are also approximately 10 kilometers away from Olaroz, so we would be able to do the same thing there. The feasibility of this approach depends on the size of the resource, and that will be determined over the next several months. We are starting a scoping study with the goal of informing investors and other producers as to the size of our resources, and that should be completed by early 2018. Currently our resources are 470,000 tonnes, and we are going to see how much we can add to that in both the northern and southern areas. INN: What benefits for Advantage Lithium and for the Cauchari project emerged from the strategic partnership with Orocobre in Argentina? DS: The first thing to understand is that companies are built by people, and through Orocobre we have inherited some excellent people. Miguel, who is our vice president of exploration, was their exploration manager and was part of the discovery team for Salar de Olaroz, from which Orocobre is now producing, as well as several other discoveries in Argentina that have gone into production. He now works for us full time and he is handling all the drilling and contractors for our project. His wife, Sylvia, is an attorney and she also came to us part time from Orocobre. She has a strong reputation in the region and has been dealing with local government officials and obtaining all the permitting for the project. We also have Rick Anthon working with us, who is both a director at Advantage Lithium and the top counsel for Orocobre. He has over 30 years of experience in both corporate and commercial law, as well as extensive experience in the resource sector. There’s also Richard Seville, who is the CEO of Orocobre and a director of Advantage Lithium. He and his team raised the $750 million that made Orocobre what it is today. He is a geologist and a geotechnical engineer with over 30 years of experience, and Orocobre is the only new producer in the marketplace over the last decade. We have partnered with one of Argentina’s leading lithium producers. The market is dominated by four major lithium producers: Albemarle (NYSE:ALB), SQM in Chile, Tianqi (SZSE:002466) in China and FMC (NYSE:FMC). Those four produce almost 90 percent of the world’s lithium and Orocobre is the new player in the marketplace. Through our relationship with Orocobre we also have access to all the information they have about Cauchari as they have had a drilling presence there. In fact, they have built out approximately 7 million tonnes of resource. Their technical knowledge is very important for us when it comes to deciding where we’re going to drill, what drilling contractor we use and other such things. That’s invaluable. Their knowledge in community relations and the technical knowhow for sourcing the brine and obtaining the lithium carbonate equivalent of 99.9 percent is very important. These guys have done it all before, and that background knowledge is invaluable when you’re looking at investing in a company that wants to be a new producer of lithium. INN: How does Argentina compare to other top mining jurisdictions in the world? DS: There’s a big Lithium Triangle in the world right now in Bolivia, Chile and Argentina. Bolivia is a difficult place to work in from a governmental standpoint, and Chile has a referendum coming up regarding the taxes and royalties that have been levied against many of the resource producers there. In Chile they’ve also designated lithium as a rare element because it’s used for nuclear weapons. As such, they are managing the output of lithium in terms of the type of production and they have regulations when it comes to royalty schemes. It is much more profitable to look to Argentina. There, President Mauricio Macri has removed the currency and capital controls, as well as the taxes introduced by his predecessors. As a result, approximately 40 foreign companies have begun to consider major opportunities in the mining industry there, and they really want to be at the top of the lithium industry as well. There’s hundreds of companies now investing billions of dollars in Argentina because of the better flow of capital and the better terms for new incoming companies. I think Macri understands that the country needs a booming economy to help its currency and its world standing, and I think he’s doing the right things to make this happen. To show the positive interactions we’re having with the local government, the 17 permits that we have received in Cauchari are some of the first multiple permits that have ever been issued to a company, especially a junior like ourselves. Obtaining these permits didn’t take as long as it has in the past and it was quite seamless. The equipment that we are now able to bring into Argentina and what we can purchase locally or utilize in contract is state-of-the-art drilling equipment that’s never been used in the country before. Bringing equipment in, mobilizing camps and hiring locals to work with us is all much easier. It’s a booming industry in Argentina right now and we are leveraging this renaissance to our advantage.